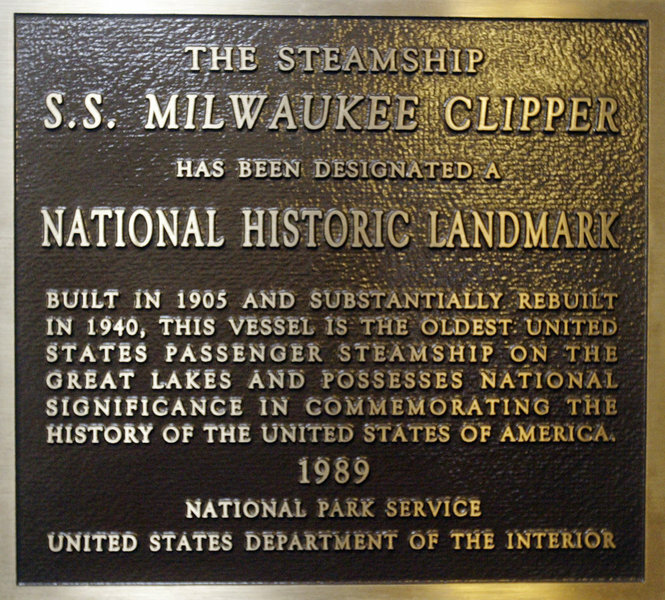 Welcome to the online home of the Steamship S. S. Milwaukee Clipper. 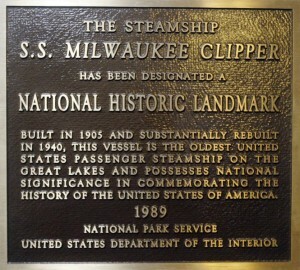 We are the proud caretakers of this great ship which is listed as a Historical National Landmark. 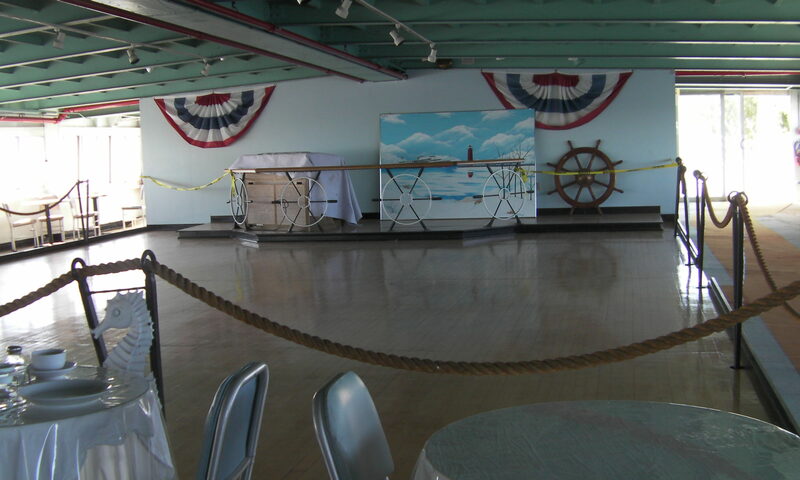 With this honor comes the responsibility to restore and maintain this ship, the oldest passenger ship on the Great Lakes. We ask you to visit this website, and plan a visit to our ship. We also encourage you to join us in maintaining this ship. We always need volunteers who can work on her, donations of materials to improve her, and funds to maintain her. Contact us, and we will work with you in any way possible. Thank you for your interest, and we hope to meet you soon!